Just A Car Guy: The 1930 NiteCoach Greyhound bus built by Pickwick, big? Oh yeah. But special? Yes! It has Woodlite headlights! The 1930 NiteCoach Greyhound bus built by Pickwick, big? Oh yeah. But special? Yes! It has Woodlite headlights! 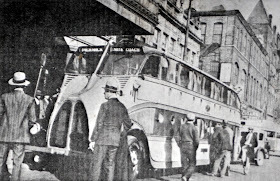 The Success of the 1928 Nite Coach (on a Pierce Arrow chassis) prompted the introduction of a similar 53-passenger day coach, the Pickwick Duplex, in 1930. Austin did not rest on his laurels and in 1932 introduced a totally new Sleeper Coach which featured aerodynamic breadbox styling that wouldn’t appear on his competitor’s coaches until the late 1930s. 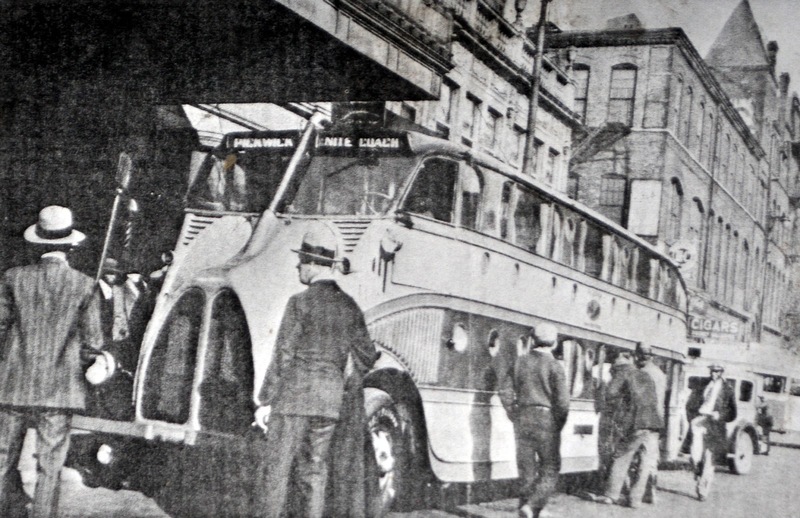 It is generally agreed that only four Nite Coaches were built (Carlton Jackson claims five), the first of which was christened the Alsacia after Alsacia M. Wren, one of Charles F. Wren's two daughters. The Alsacia had an unusual flat rear roof over the rear-most first floor cabin, a feature not found on subsequent Nite Coaches which all featured a fastback rear roof with an enclosed luggage compartment. The next Nite Coach built, the Gladys, was named after Gladys I. Wren, Charles F. Wren's second daughter. 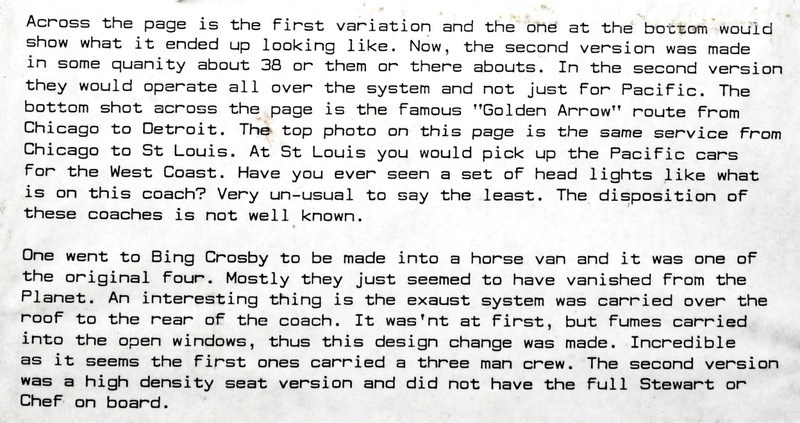 The third coach constructed was christened the Morpheus, after the Greek god of dreams and sleep, while the name of the fourth and final first series Nite Coach has been lost to history. above, in the lower right hand corner, the photo was annotated "Irish Hills Southern Mich"
Of course, you knew that, cause you've been looking at the posts about them that I've had here, because I appreciate their design. Everything I've read says they were terrible at actually lighting the area in front of a vehicle, but... well, they look great! 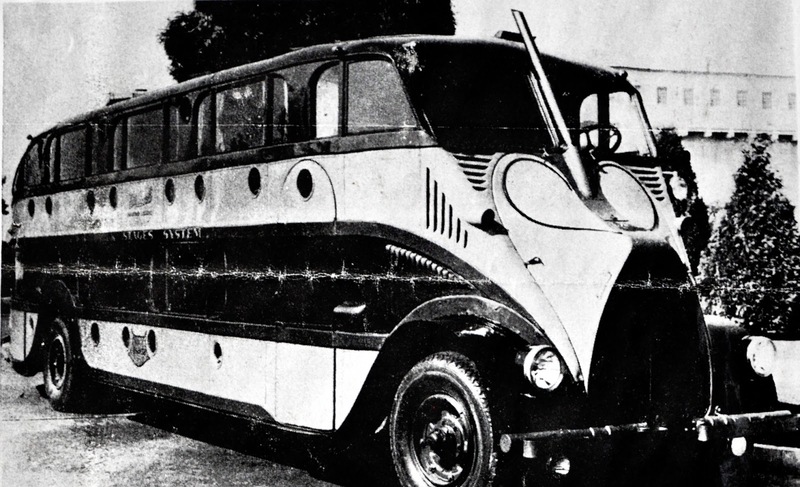 One of these buses is shown on it's assigned route between Los Angeles and San Francisco, where raised seats afforded views of spectacular scenery. 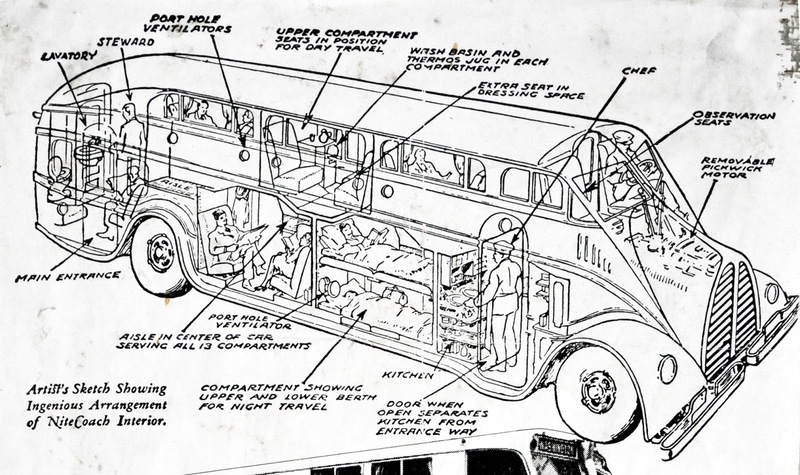 The original design of Pickwick "Nite Coaches", of which only five were built, is represented here by "Morpheus". 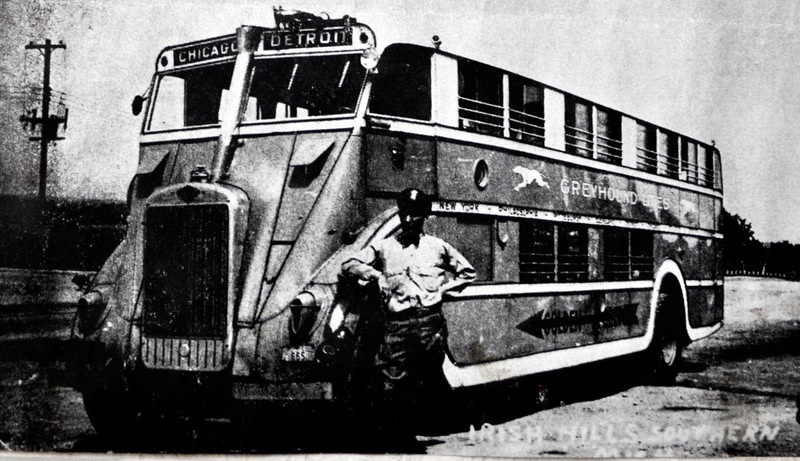 Two Nite Coaches ran between St. Louis and Kansas City for Pickwick-Greyhound Lines for about six months in 1930 until they were ordered off the road as not meeting the size and weight limits of the Public Service Commission of Missouri. They reappeared later in San Francisco-Portland service. "Morpheus" is pictured next to a Tri-Motor of Western Air Express, one of the predecessors of TWA. Not a Pullman car, but a bus: a compartment in a Nite Coach made up for overnight travel. 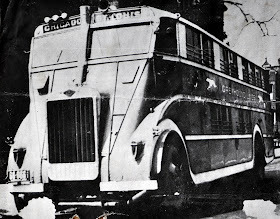 Early bus lines, like early air lines, avoided night-time travel, and the Nite Coach was one effort to offer more effective competition to the railroads. 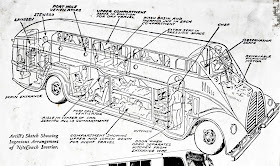 The idea was periodically revived in the 1930's, but always foundered on the high operating cost because of the small number of overnight passengers that could be accommodated within legal size limits. One of the original four Pickwick Nite Coaches at a scenic overlook in Yosemite National Park. Not on the regular route, the park was a popular attraction for charter parties and tour groups.